JaM Patch News ----- Autumn Specials are here!!!!! Happy Fall!!!! Here we are and it is the 2nd of September and my favorite time of the year is here!!! We are planning to help you with that Autumn/Fall project starting Friday, September 3rd, brown, yellow and orange are all $5.00 a yard. 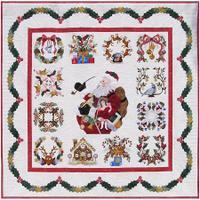 Remember it is only offered on the fabric starting with an Inventory number of 09 and younger. We have also eliminated any Batiks as well. The sale price is only offered on one yard cuts and more. No Clubhouse points are awarded or Clubhouse Gift Certificates redeemable. This sale will continue until Saturday, September 11th. Please remember that our first installment on the Bread and Butter Society will begin on Wednesday, September 8th and Saturday, September 11th. We will be working on Peanut Butter Bars and Jelly Stars. We have kits available as shown but please feel free to use your stash. The class fee is $15.00 for the quarter plus kit fees, if you chose. It is $10.00 per session, if you chose to not do the quarter. Here is the link on teh webiste for the sign-up sheet. www.jampatch.com/news-flashes.htm Scroll down to The Bread and Butter Society. Thursday, September 2nd and September 9th and Friday, September 10th. 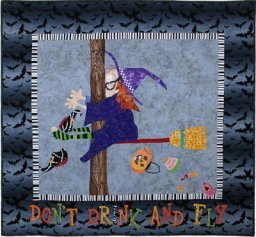 If you are looking for a cute Halloween Wall Hanging then do we have the class and pattern for you. The class is scheduled for Tuesday, Spetember 14th. It is called Don't Drink and Fly" and take a look. 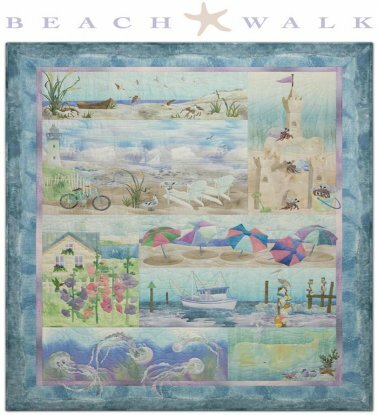 Don't miss out on these quilts! 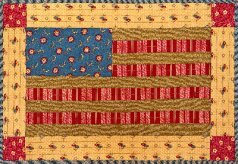 Please remember we will be closed for Labor Day, Monday, September 6th and we will continue our Saturday closing at 2pm until the first Saturday in October which is October 2nd. Boo Hoo!!! 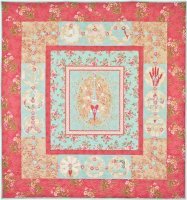 The store is bursting with exciting new fabrics, books and patterns. A few of our favorite notions are back in including Steady Betty and Gypsy Sit-Upons. 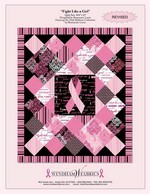 In fabrics we received in from Windham the neatest new called "Pink Ribbons" for Breast Cancer Awareness. We love some of the words like "Fight like a girl" and "Never Give Up." 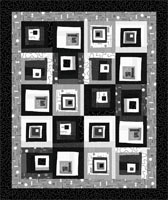 Here is a picture of the free quilt pattern you can find on their website. Did we mention that words are in and the coolest black and white and brown and cream fabric has arrived from Benartex. It is called "Word Play" and it is done my Michele D'Amore but read what they have to say. "Cool contemporary textures that truly have something to say-it’s Michele D’Amore’s WordPlay collection! Michele used graphic design and typography elements as the inspiration for this sleek modern group. Colors? Rich ebony, cool architectural gray, chocolate brown and cream-a very sophisticated palette. 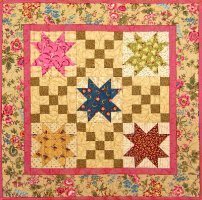 Of special interest is the WordPlay panel-a unique contemporary log cabin quilt, ready for borders and binding. It is a cool, sophisticated group, rich in possibilities"
Yes, it is a panel and just the border and you are done. Come in and read the words....you will be very pleased!!!! As you can see lots of exciting things at the Patch, so stop by for a visit! We love to see you and remember love to see your finished, partially finished or a block of your work!